On board Bounty Hunter you can experience the thrill & excitement of fishing for Billfish & Pelagics, which are nearly on Sydney’s doorstep all year round. The crew is very expereinced and will ensure that no matter if you are a novice or an experienced angler, you will have the very best chance of a sucessful fishing trip. Captain Charlie Stope is a fully certified Master over with 23 years of sea experiance. Bounty hunter is a 35Ft Bertram in full NSW waterways survey, she is fully rigged for tournament fishing, and has twin turbo charged diesels. 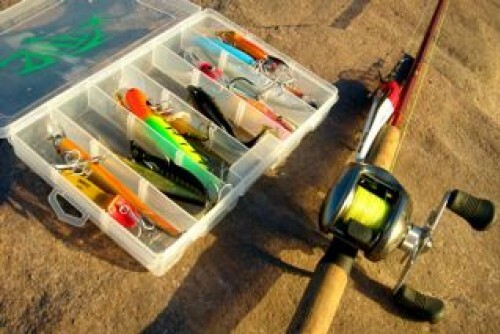 We also provide the very best game fishing & saltwater Fly fishing equipment. We offer game fishing aboard “Bounty Hunter” in one of the worlds best fishing grounds which is just outside Sydney. We have over 23 years of game fishing experience & also numerous records so the crew will treat you to an experience of a lifetime. Bounty Hunter is setup for serious fishing, with a tournament setup and the best gear so you can take on that 1000Lb challenge. All heavy Game fishing gear is supplied ranging from Tiagra 50 wides to 130 wides, custom game rods, Lures etc. and of course you may also bring your own favorite lures. One of the most challenging forms of Fly fishing is saltwater, iit also happens to be the most frustrating. When it all works it is incredibly rewarding and satisfying. 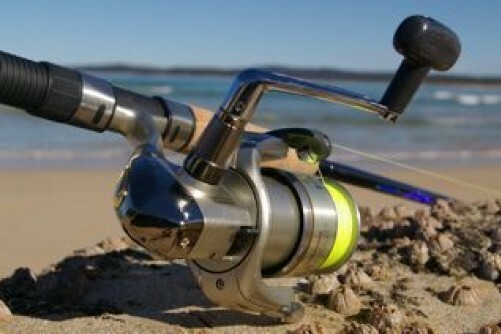 We offer Fly-fishing charters off Sydney all year round. the following species are targeted: Striped Tuna (year round), Yellow fin Tuna (winter), Albacore (winter), Broadbill swordfish (winter), Mako sharks (winter), Striped Marlin (summer), Black Marlin (summer), Blue Marlin (summer), Sailfish (summer), Wahoo (summer), Mahi Mahi (summer). Fly gear can be supplied from 4wt to 20wt. Rods are from Sage & Strudwick, Reels are from Ables and are all loaded with 50lb bionic Braid backing. Fly lines – shooting heads, intermediate, sinking, floating & billfish tapers. *All gear is supplied on a you lose you replace condition. Our reels can be spooled on our line winding machine either left-hand wind or right hand wind (we need a minimum of 2 days notice if left hand wind is required). 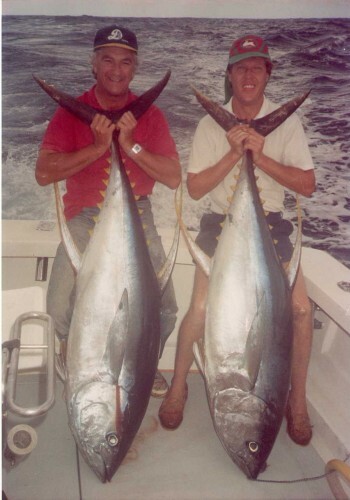 Mini Fishing safaris – We also offer mini safaris that consist of 3 days minimum, live aboard charters. You can fish either north to Seals Rocks or south to Jarvis Bay depending on the season. Here you will be fishing a variety of Deep Sea Canyons, Mountains, Reefs and Islands, Max 6 people. Reef & bottom fishing – trips for parties up to 18 can also be arranged. 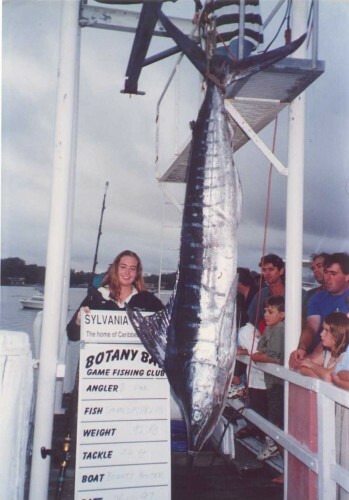 Sydney Harbour – we can offer fully guided fishing trips with either conventional tackle or on Fly. Max 4 people for half or full day Charters. Bounty hunter is also available for Harbour cruises day or evening, with the tuna tower & fly bridge she makes an ideal viewing platform for events on the Harbour, Max 12 guests.